Perhaps one of the greatest boons that an Avatar bestows upon humanity is to dispel the clouds of darkness to guide them in the path of liberation. Though, in general these counseling comes in the form of Divine Discourses, there were rare occasions when questions pertaining to spirituality and other intricate matters were fielded to Bhagawan. 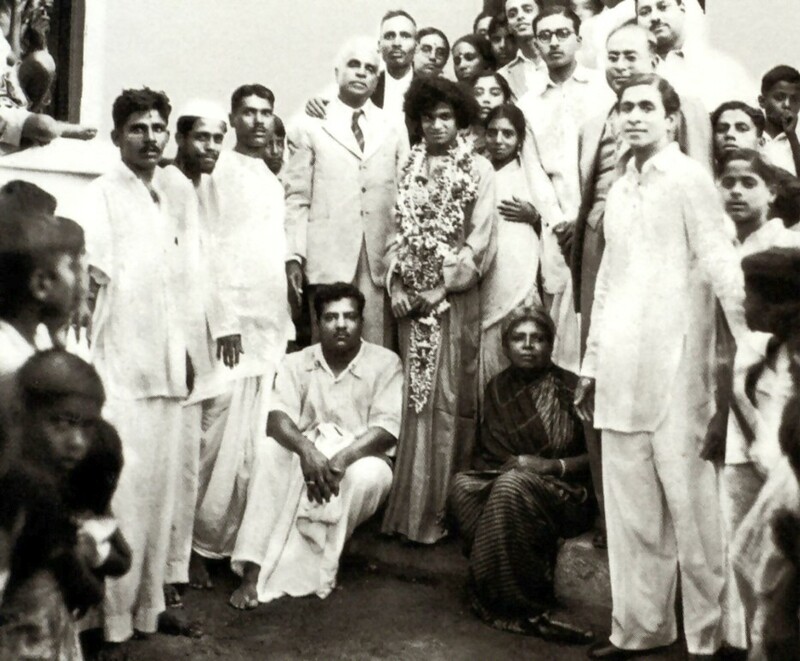 Dr. John Hislop had this rare privilege of seeking answers for some of the trickiest and yet vital questions that represented the common perceptions and doubts of the Sai Fraternity. Read on from the notebook of Dr. John Hislop as published in the Oct 1974 issue of Sanathana Sarathi. Question: Swami! Excuse me. A person, observing you moving amongst people and choosing some of them for special attention, is puzzled why some are left out. Sathya Sai Baba: Yes. It is quite natural that you are puzzled. One looking from the outside cannot know who is worthy and who is not. Question: People say that they are often punished by Swami. Is that a fact? Sathya Sai Baba: Of course. In punishing a person for misdemeanor, Swami wants to correct the defaulter. But, though harsh in appearance, at other times, he is all Love inside. Sometimes he corrects a person in private; at other times, he does so, in public. For, if he corrects in public, all who hear will learn and see for themselves, what pleases Swami and what does not. Swami is very strict in his principles and rules. An Avatar does not compromise. To the Sadhaka, strictness is, ultimately, the best kindness. Question: Yes, Swami. Persons near you have to be perfect. Sathya Sai Baba: People judge Swami by the conduct and behaviour, the earnestness and sincerity, the generosity and humility of those ‘near’ him. So, those who are outwardly ‘distant’ are not apparently dealt with so severely. But, even they are watched and warned. Depending on the situation, I can be soft as a rose petal or hard as diamond. Question: Swami is the motivator of the individual, I have heard you say it. I know it is true. How then do persons commit faults? Sathya Sai Baba: Swami is the ‘I’ in you and in every one else. The ‘I’ which prompts you to will, to think and act is the reflection of the ‘I’ that I am. The Sun is reflected in water. wherever it lies; whatever its quality. The Sun warms the water it shines upon. When the reflection is in muddy water, we say the person is Tamasic—dull, slothful, stupid, fond of darkness, revelling in ignorance. When the Sun is reflected in water that is quivering in ripples, the person is Rajasic, passionate adventurous, emotional. When the Sun is reflected in clear calm limpid water, the person is Satwic, calm, unruffled, full of peace and inner joy. Question: Many Gurus teach, “All is done by the Lord; and, not by you.” But, the world over, there is the concept, that man is responsible for his actions. Question: We do not will to be human, and not God! Sathya Sai Baba: No, you do not. It is just a matter of being confused. It is a delusion. At present, there is in you a mixture of 5 states of consciousness: the unconscious, the subconscious, the conscious, the super conscious and the Divine Consciousness, where God alone IS. When you raise yourselves from one state to another, the idea of your being merely human will vanish of itself. The Gita teaches man first to engage himself in `work’; then, he is asked to `give up the desire to earn the fruits of work’; later, he is told that Dharma is his only concern; afterwards, Dharma is interpreted as Dharma for liberation; finally, he is told that even the desire for, Liberation is to be given up. `Be attached Jo Me alone’, is the final lesson. You do not will to be human; you are misled to believe so. Sathya Sai Baba: I am not hurt by any type of questions; in fact, I want you to be free of all doubt. Remember, Swami is always happy. He is always Bliss. No worries, no concerns can affect the Bliss. Question: Yes. Swami is often heard saying, `Yes. Yes. Yes’. Sathya Sai Baba: Your tendency is to say `Yes’ to that which is pleasing to you, and ‘No’ if the prospect is otherwise. Swami says, `Yes. Yes. Yes.’ to everything that comes. For, everything is My Gift; everything is Good for the person, at the time, for the purpose I have in view. Question: Considering the Task that Swami has undertaken, it is strange that You are always in Bliss. Sathya Sai Baba: The boat glides over the flood; but, does not allow the flood to enter it. On Swami’s shoulders alone rests an ever increasing burden. The problems and sorrows of millions of people; the institutions and individuals who turn to Him for guidance; the interviews, the prayers, the petitions. On the mental level, unknown to you, I am with all who yearn for God, no matter where they actually are, over the entire world. I am by the side of seekers, saints, yogis, rishis, everywhere, watching them, counselling them, fostering every sign of progress towards God and Self realisation. But, the Bliss in Me is constant, unchanging. Even outwardly, My Bliss can be noted as constant, even while I may appear angry, impatient, aloof or distant. The anger is put on, just to set right some situation; the aloofness is assumed, for the particular time and place. My Love is as constant as My Bliss. Question: Those saints, rishis and sages do they pray for counsel? Is not praying the same as begging? If we are God, we beg only from ourselves. Sathya Sai Baba: It is not begging, when you ask God for something. When you receive what He gives, you have to rise up to His level, at least for that moment. When you beg from, one equal to you, you put yourselves down and he is raised up. When you beg from one lower than you, you degrade yourself still lower. But, when you beg from God, you rise; you are elevated in spirit and you sense fulfilment. Question: But, I had thought that since God knows all, He would remedy the situation, if it is appropriate that it should be done. Sathya Sai Baba: That is right. What I said is enough, for those who have surrendered! You must weaken your sense of identification with the body. You may have a headache today, a stomachache tomorrow. Don’t worry. You are not the body; no; you are the Atma, the Divine Dweller in this body. Once I have told you not to worry, there is no more need to ask Me about it. Don’t identify. Question: Swami said that while praying to God, the petitioner raised himself to the level of God. In order to make such a prayer, in what state of mind should one first put himself? Sathya Sai Baba: It is not necessary that one should put oneself into any particular state of meditation. Question: Usually, the advice is, that one should go to a quiet place and be in a quiet mood when he wishes to pray. Sathya Sai Baba: Wherever and whenever you put yourselves in touch with God, that is the state of meditation. You may feel that 1 P. M. in California is not a good time to call Me, for I may be asleep in India and that I should not be disturbed! I know you have felt like that once or twice. But, I am omnipresent; I have no such limitations. I never sleep. At the middle of the night, I turn off the light and rest in bed, because if the light is on, devotees will gather. I have no need of sleep. But, you need at least 4 hours of sleep. Question: If I am walking in the street, with people around, and my mind engaged with things I must do, is that a good time? Sathya Sai Baba: At the beginning; one might need some special circumstances for clearing the mind of junk and concentrate on God; but, when you become aware of God in every thing and everywhere, no matter where you are, it is the same; prayer can emerge from the heart and reach God. Question: Swami! You have said that in meditation one should strive to cut off the Form aspect. But, we worship your Form and like it. We pray to that Form. Sathya Sai Baba: That is the right thing to do; but, later, when visualisation is abandoned, you come closer. Now, you are looking at Me directly. Question: Swami! When they heard of, Krishna’s Death, many Gopis fell lifeless from the shock. So, their relationship was only with the Form of Krishna, it seems. Sathya Sai Baba: No. The Gopis had both relationships. Because of their years of close companionship, they were strongly attached with the physical Presence. But, they also knew Krishna in their hearts as their Innermost Reality. They always felt He was with them, even when His worldly activity took Him far away, physically. Question: Then, why the terrible shock? If Krishna was so firmly imprinted on their hearts? Sathya Sai Baba: Their only reason for placing any value on the body was that Krishna was also in physical existence! When Krishna left, they had no more interest in the world! Question: One last question, Swami! On behalf of America. Will Swami come soon?